InC - The ‘Star Wars: The Last Jedi’ Behind-the-scenes Reel is What We Need Right Now. Home / Everything Else: Video / The ‘Star Wars: The Last Jedi’ Behind-the-scenes Reel is What We Need Right Now. 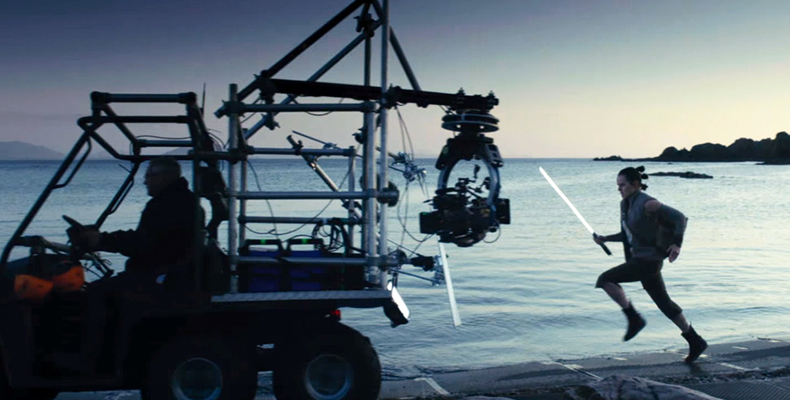 The ‘Star Wars: The Last Jedi’ Behind-the-scenes Reel is What We Need Right Now. Lucasfilm and Walt Disney Studios released the brand new behind-the-scenes reel of ‘Star Wars: The Last Jedi’ at the D23 Expo. In the 3-minute clip, you’ll be able to see a lot more footage of the upcoming sequel, a glimpse of the beautiful iconic costumes, strange creatures, and a lot more of the late Carrie Fisher in her final appearance as Princess Leia. Fisher passed away in December last year. “It’s about family,” Fisher says in the video. “That’s what makes it so real”. The film stars Mark Hamill as Luke Skywalker, the late Carrie Fisher as General Leia Organa, Adam Driver as Kylo Ren, Daisy Ridley as Rey, John Boyega as Finn, Lupita Nyong’o as Maz Kanata, Oscar Isaac as Poe Dameron, Domhnall Gleeson as Hux, Anthony Daniels as C-3PO, Gwendoline Christie as Captain Phasma, and Andy Serkis as Supreme Leader Snoke. New cast members will include Academy Award winner Benicio Del Toro, Academy Award nominee Laura Dern, and newcomer Kelly Marie Tran as Rose. Star Wars: The Last Jedi opens InCinemas 14 December 2017! Disney’s ‘A Wrinkle In Time’ Debuts First Trailer Starring Oprah Winfrey and Reese Witherspoon! Finally, the Magnificent 1st Trailer for ‘Star Wars: The Last Jedi’ is Here! A 10-day Star Wars Festival Happening at Orchard Road this September! InCinemas.sg's 20 Most Anticipated Movies of the Second Half of 2017!